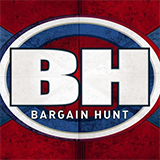 Two teams of amateur collectors have an hour at an antiques fair in which to acquire the best bargains possible. Teams race around Epsom's antiques fair, on the hunt for three items to sell at auction. Meanwhile, Tim Wonnacott sheds some light on a medallion-filled wooden box. Tim Wonnacott and the teams head to Malvern as they try to find three items to take to auction in the hope of making a profit. Teams head to Dorking in Surrey to search for unusual items to take to auction. Meanwhile, Tim Wonnacott finds an ingenious antique oddity. Teams head to Norfolk, home of the Broads. Both red and blue teams hope to fashion themselves a victory, dance off with the dosh and go for golden gavel glory. Teams head for the antiques centres of Sawbridgeworth in search of a bargain or three. With help from a couple of experts, the teams face consternation, animation and even balloon inflation. Tim Wonnacott and the teams travel across the Menai Straight to Anglesey. Meanwhile, Tim Wonnacott visits Firepower - The Royal Artillery Museum in Woolwich. Teams head to Norfolk, hunting for interesting items to sell at auction with experts Caroline Hawley and Thomas Plant providing invaluable help and advice. Tim Wonnacott and the teams head to Devon to find antiques and collectables to be sold at auction. Teams head to the island of Anglesey in Wales. Presenter Tim Wonnacott presides over the action at the Mona Showground and also at the auction in Knutsford. Armed with 300 pounds and only 60 minutes to buy three items, teams head out to the antique-rich town of Leominster. Meanwhile, Tim Wonnacott shows us that he's a bit of a coracle oracle. 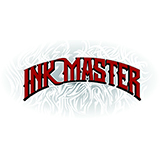 Ink MasterInk Master is an American reality and competition show written for television and revolving around a tattoo artist who have to complete challenges related to their trade in order to win a $100'000 cash prize and the title of Ink Master. 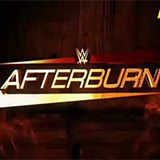 WWE AfterburnBrings you all the latest news and information on your favourite Smackdown superstars and recent Smackdown matches. 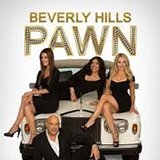 Beverly Hills PawnBeverly Hills Pawn takes you inside the Dina Collection VIP Room, where high-end merchandise and exclusive Hollywood memorabilia is bought and sold. Yossi Dina has been collecting Hollywood treasures for over 25 years. 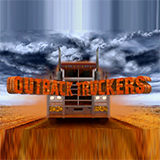 Outback TruckersOutback Truckers is an Australian reality series written for television revolving around the lives and issues of professionals and interesting personalities active in the Australian road-transport industry.